Back in my cake baking days. Yes, I use to bake cakes:0) I learned a little technique called infusion. It’s basically when you take a cake and soak the layers after they are baked, with some type of flavor. 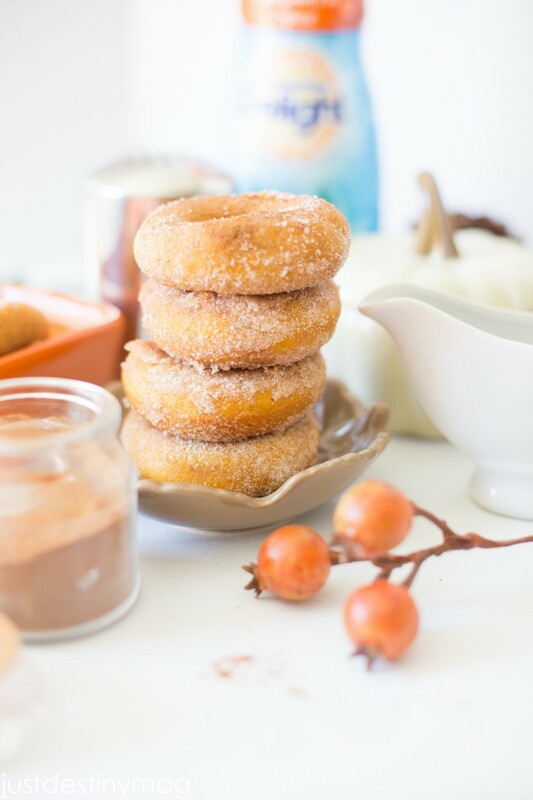 Since it’s pumpkin season now I thought I would use this same idea on a delicious pumpkin donut recipe that I’ve used a few time from…you guessed it, King Arthur! Oh how I love that site! So add their deliciousness to this deliciousness and you have a recipe perfect for pumpkin lovers. Those who love all pumpkin everything!!!! Traditionally infusing is some type of alcohol but I decided to infuse with International Delights Pumpkin Pie Spice creamer and some powdered sugar. It’s sort of like a simple syrup but more like a really thin glaze:0) and it’s soooooo delicious. I could eat it by itself. You can add even more powdered sugar to make a frosting like I did last time or you can thin it out to have a glaze! I love the flavor these creamers give to just about any recipe. It’s not just about coffee friends! The key to making sure these come out great is to make sure you don’t soak the donuts! Trust me. The first batch I did that technique and they crumbled. So make sure you just give it a nice brush of extra flavor on both sides! Oh and they are the BEST when served right away! But you can loosely store them at room temperature as well. If you store them to tight they will also crumble. Aren’t you glad do all the dirty work for you! 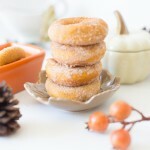 Delicious infused pumpkin donuts using International Delight's Pumpkin Spice Creamer. 1) Preheat the oven to 350°F. Lightly grease two standard donut pans. 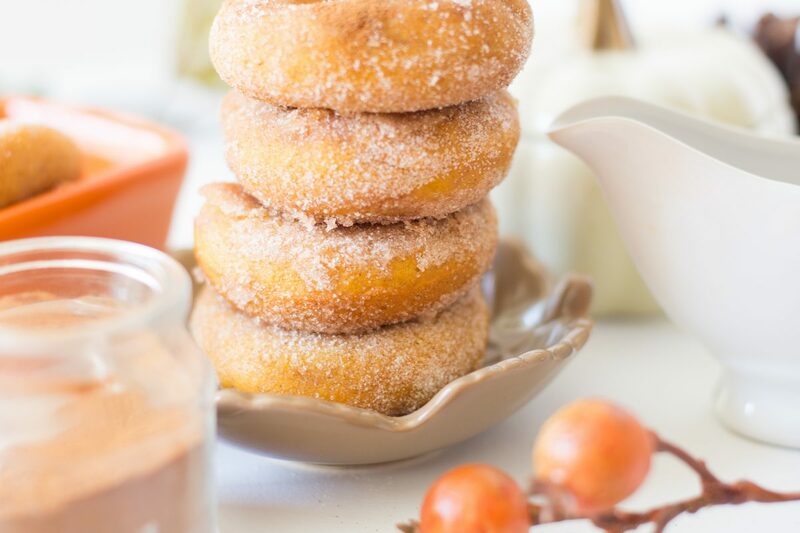 If you don't have doughnut pans, you can bake these in a standard muffin tin; they just won't be donuts. 4) Fill the wells of the donut pans about 3/4 full; use a scant 1/4 cup of batter in each well. 5) Bake the donuts for 15 to 18 minutes, or until the center of one comes out clean. 6) Remove the donuts from the oven, and after about 5 minutes, loosen their edges, and transfer them to a rack to cool. 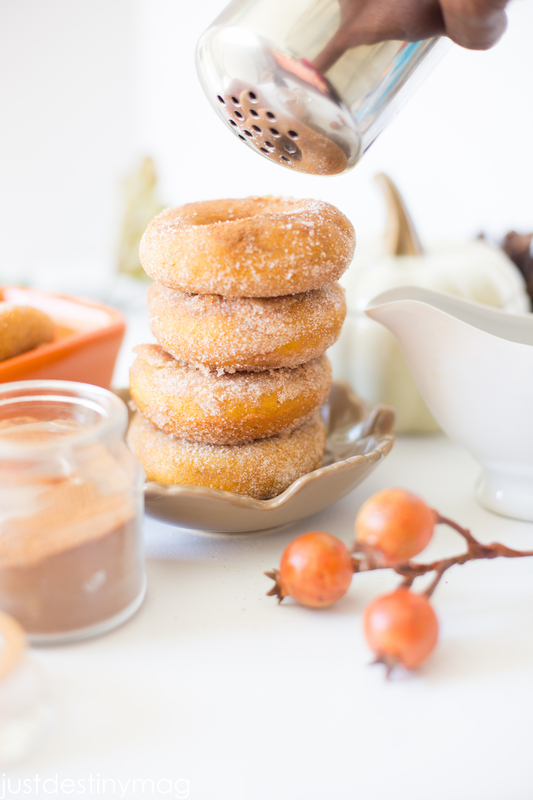 7) While the donuts are still warm, take your Simple glaze and brush the donuts. Then gently put them in a bag of cinnamon and sugar mixture. Right now International Delight is having a super fun GIVEAWAY! 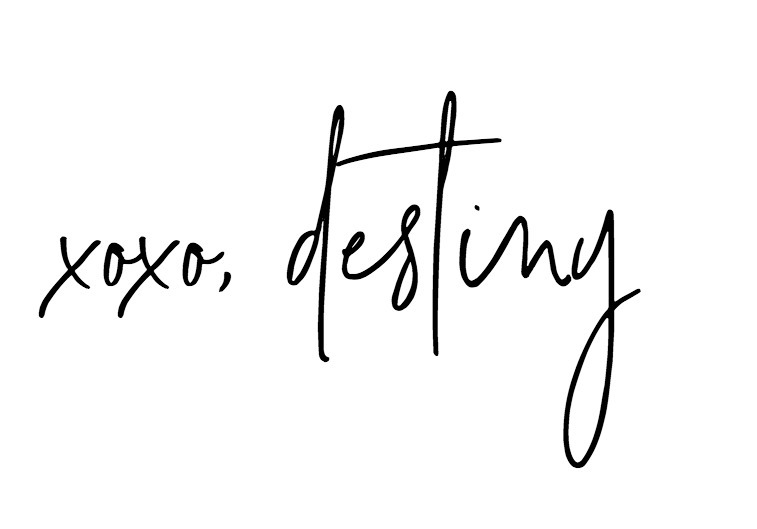 Sign up to be apart of the community to learn more International Delight community! Each month they giveaway some amazing prizes like TABLETS!! 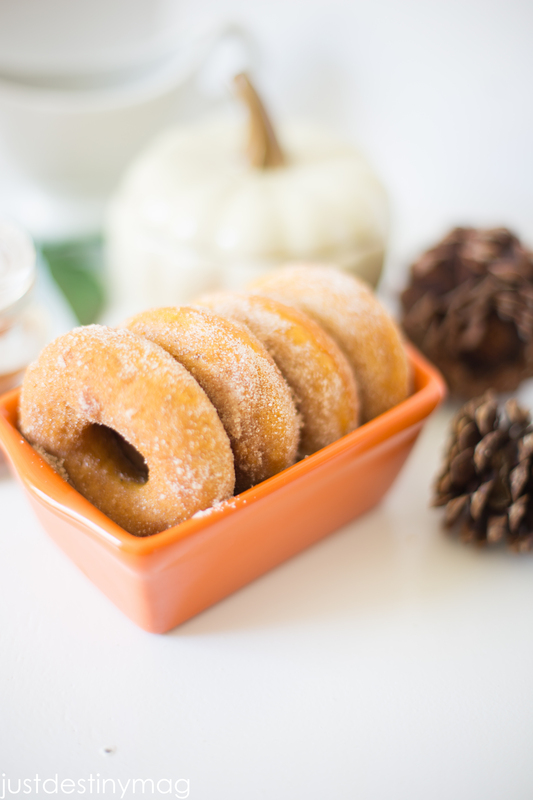 This fall is all about Pumpkin Delight! Product has started hitting the shelves and we can’t wait to stock up on one of our favorite seasonal flavors! Use the store locator here to find product near you! Is it at Publix. I got it last year! Please mail me some and will pay you for it.